High strength adhesive that eliminates the need for nails and screws. Adheres to most building materials, including wood, ceramic, metal, concrete and is paintable. 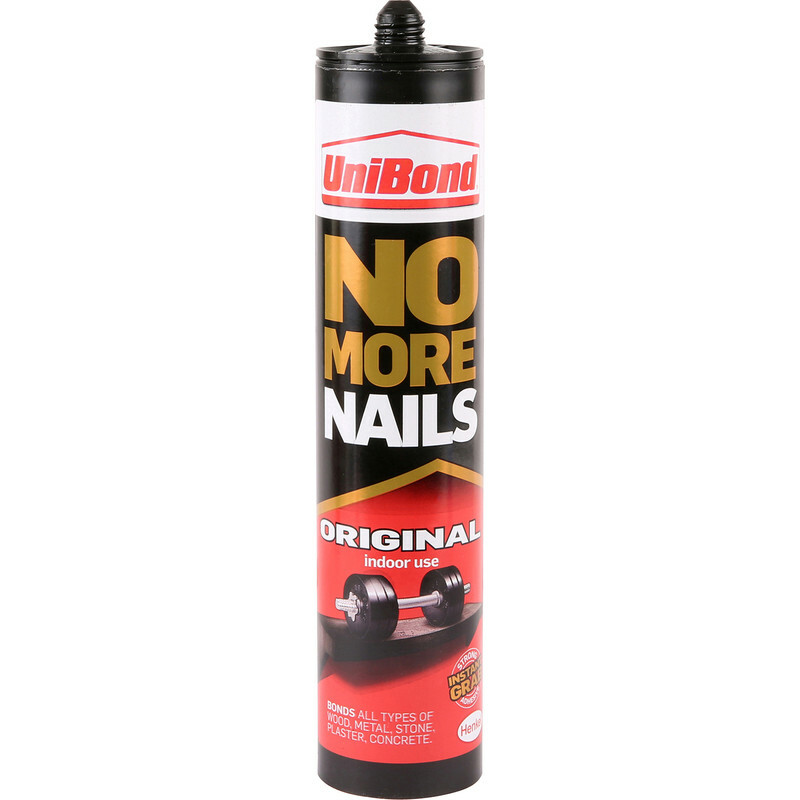 Unibond No More Nails Original Solvent Free 365g is rated 4.3 out of 5 by 15. Rated 5 out of 5 by Saff 123 from Perfect Worked a treat on pine woods, plastic mouldings and skirting boards! Rated 4 out of 5 by Devon Flyer from Does what it says on the tube Has done the job well, used to fix Oak window cills. We did use weights to hold the cill down but this was just to make sure of good contact. Rated 4 out of 5 by Too OCD from Good but pricey Used for fixing skirting. Easy to use, nice consistency. A little pricey. Have given a four for reliability, as time will tell.